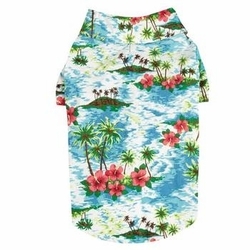 Get into the island feeling with the breezy Hawaiian Breeze Dog Camp Shirt by Casual Canine®! 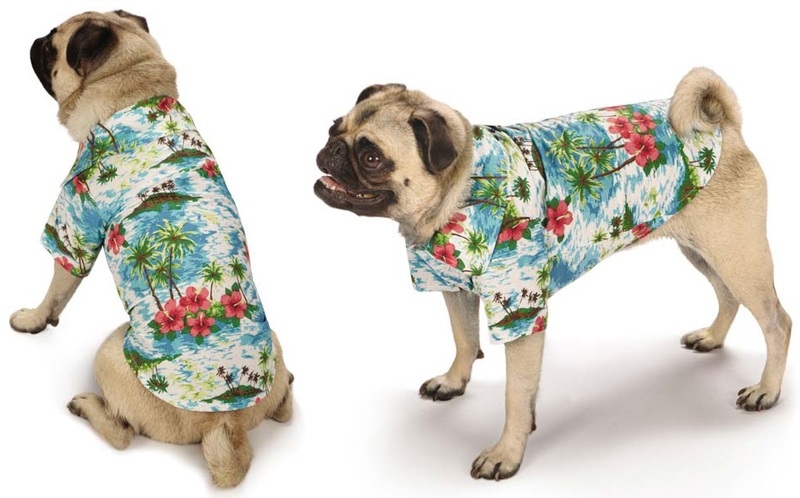 Pups can find comfort no matter where they are in this Casual Canine® Hawaiian Breeze Camp Shirt. A great dog apparel choice for walks on the beach, in dog parks, or out on neighborhood jaunts. 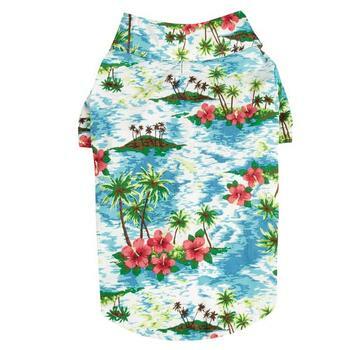 Features an all-over beach scene and classic camp shirt. Made of 100% Cotton. Machine wash in cold water on a gentle cycle. Imagine your darling pet in this sporty polo! • Chest: 13" (Most Important) • Neck: 9"